Donna has been in the dental field for 35 years. Prior to working in our front office for 19 years, she was a dental assistant for Oral Surgeons. Donna loves meeting new people and building relationships with our patients. If you’re a long standing patient, you know Donna is like a part of the family and cares about everyone that walks through our doors. Donna loves to spend time with her family and friends when she’s not at work. She loves to garden and spend time in her back yard birdwatching. She also enjoys taking long walks with her dog, Bella. When she’s not enjoying the outdoors, Donna is an avid crafter and makes all kinds of gorgeous creations. Her favorite is crocheting. Becky has been in the dental field for 36 years. 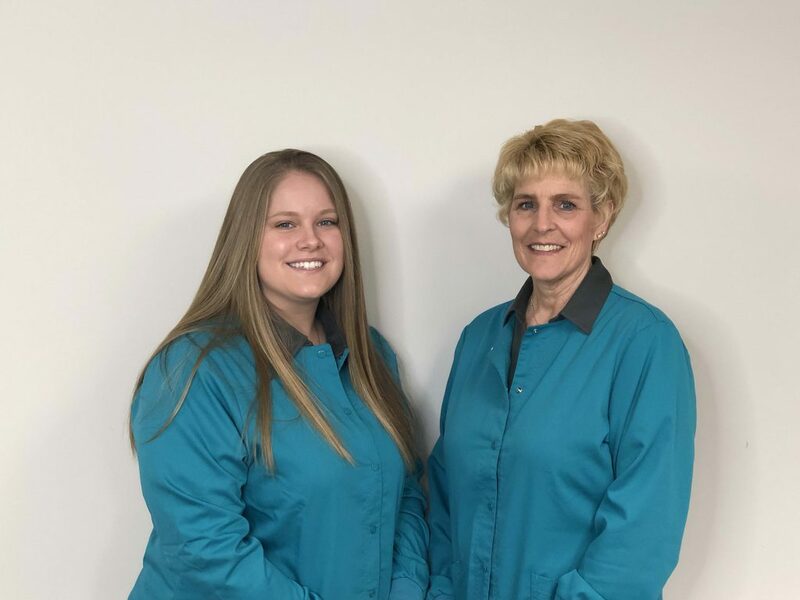 Becky has worked alongside Dr. Erica for 4 years and is now enjoying running into familiar faces at IDW since she has lived in the area her entire life! 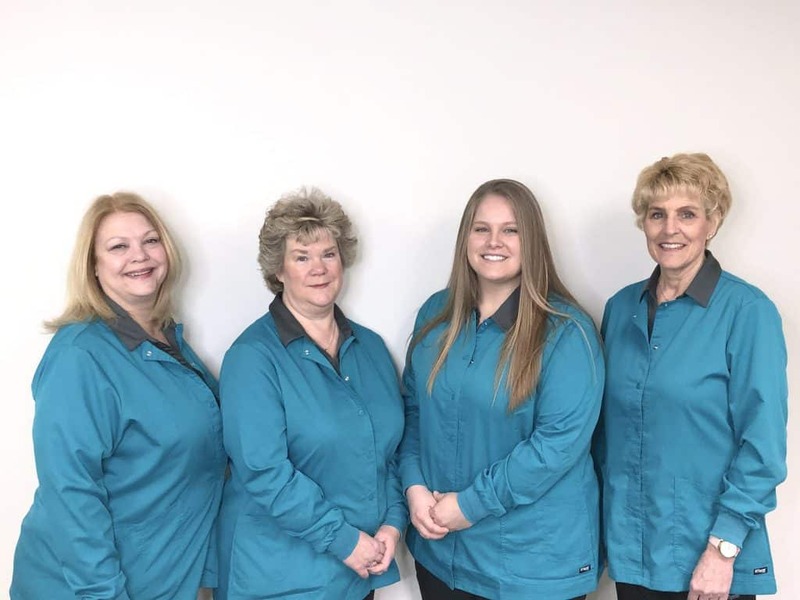 Her favorite part about being in the dental field is helping patients achieve beautiful smiles and getting to know every patient that comes to the office. When she’s not doing anything teeth related, she loves spending time with her family and friends and she’s usually hosting people at her house for dinner parties. Becky’s specialty is desserts and she could have been a pastry chef if she wasn’t a dental assistant. She loves spending time with her granddaughter, and she looks forward to making popcorn with her every Thursday night. Becky also has a dachshund, Oakley, who enjoys his walks with Becky around the neighborhood. Athena has been in the dental field for 7 years. Her favorite part about being a dental assistant is helping to change smiles & ease any fears a patient may have. Athena also previously worked with Dr. Erica for a few years while she was an associate. When she’s not working, she enjoys spending time with her family and friends and her adorable Boston Terrier’s name, Chief. She loves to cook & see the satisfaction on people’s faces when they eat what she’s prepared for them. She enjoys ice skating and used to do it competitively. She’s also a huge Chicago Blackhawks fan – and she tries to attend as many games as possible. In very exciting news, Athena is recently engaged! Danielle is a Registered Dental Hygienist who has been practicing for 8 years. She enjoys helping patients achieve healthy smiles. She loves working with little kids because they give the best answers to her questions. When she’s not working, you may catch her playing volleyball or hanging out in her hot tub. In the Summer, Danielle loves spending time on her boat with her family and she’s excited to be out on the lake as soon! In the Winter, she’s an avid snowmobiler. She and her family go up to Wisconsin to enjoy winter those outdoor activities. Danielle also has a dog, Cleo, who she rescued, as well as her family dog, Rex. Luanne is a Registered Dental Hygienist and has been in the dental field for 41 years and has been practicing at our office for 25 years! Luanne loves the ability to work with her hands and offer health and wellness to her patients through education and her hygiene services. Her ultimate goal is getting her patients to optimal level of oral health! Luanne is married and has two grown children and she recently became a Grandma! She also has an awesome Bichon Frise. Luanne loves to do crafty things, walk, attend sporting events and enjoys spending time with her family!